Spinning is the new black, didn't you know? Oh yes. And, I'm hooked. To back-track... I've been really enjoying a few video podcasts lately; The knitgirlls, Knittynatter Podcast and The Fat Squirrel Speaks. If you haven't watched them, take a look. They're fun. These women knit and that's cool, but it was their spinning that caught my eye. It's awesome. And, it looks like so much fun. To be honest, at first I just watched, oohing and aahing. I lived vicariously, enjoying their fibre, their beautiful skeins of homespun. I don't have a spinning wheel, and there's no chance of me getting one anytime soon. It all seemed like an impossible dream. 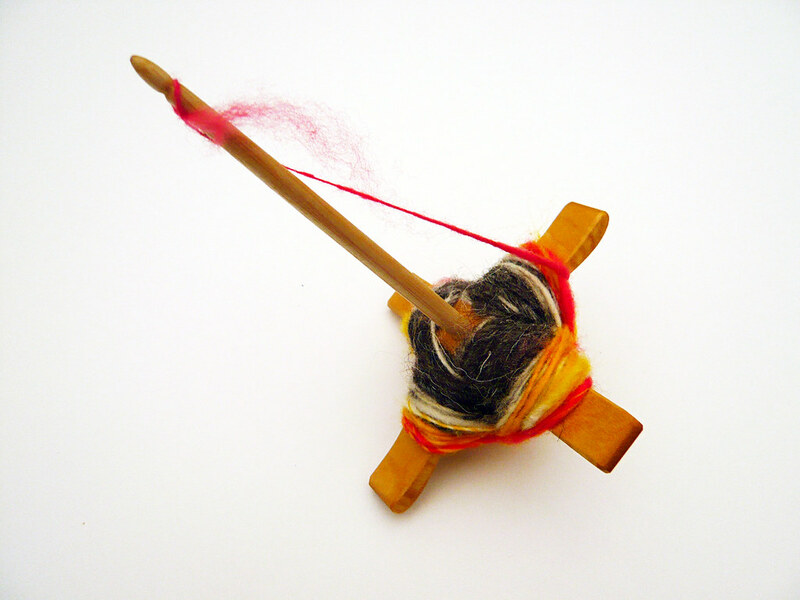 But then, I twigged that lovely Pumpkin of Pumpkin Spins creates all of her fabulous yarn on a spindle. And, I got all excited... I mean, have you seen what she spins? It's beautiful. All on a spindle. 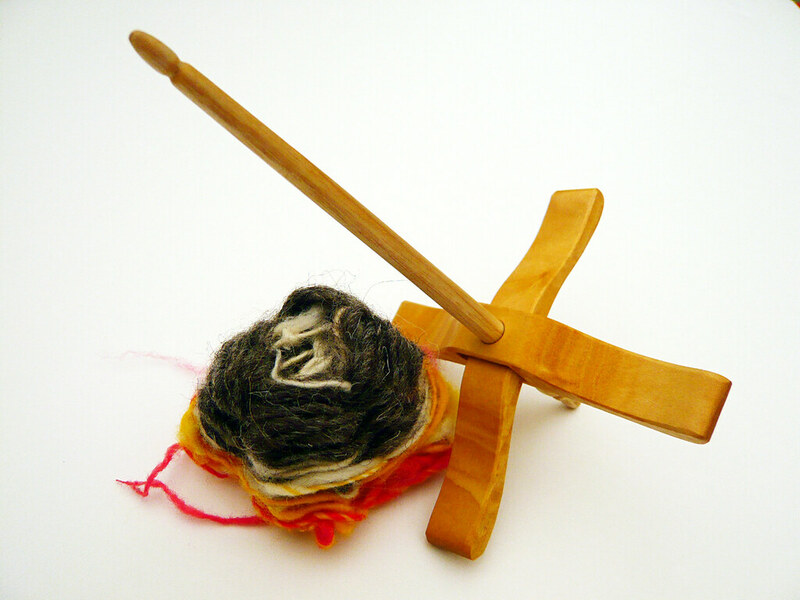 And, I've actually got a wee spindle. It's a turkish one. I got it last year and other than a brief whirl on the day and for a couple of days that followed, it has sat unloved. It hadn't occurred to me that I could spin enough yarn on it to actually make something...and I sort of forgot about it. 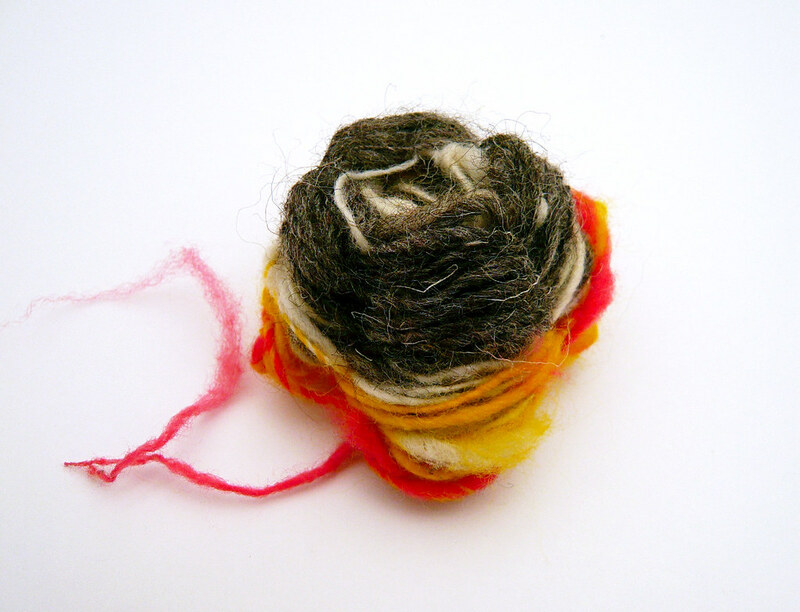 But, inspired by Pumpkin, I grabbed a random pile of fibre. Found a video on YouTube and got "spinning". Here's my first "spun" fibre. It doesn't look like much, but it's pretty, no? 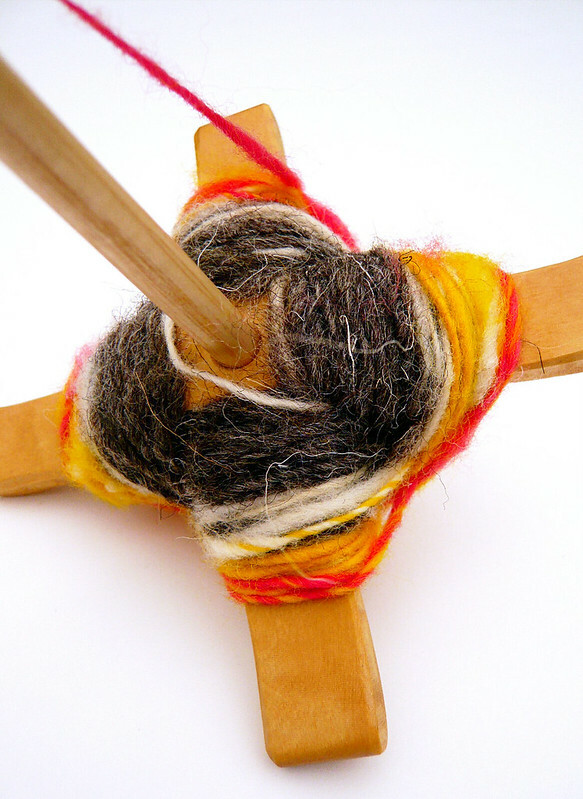 So far, I've learnt that some fibre is easier to spin than others, my spindle seems to cope fairly well with falling to the floor and it's easier to spin without a toddler asleep on your knee. I have no idea how to spin evenly, it's all slubby. 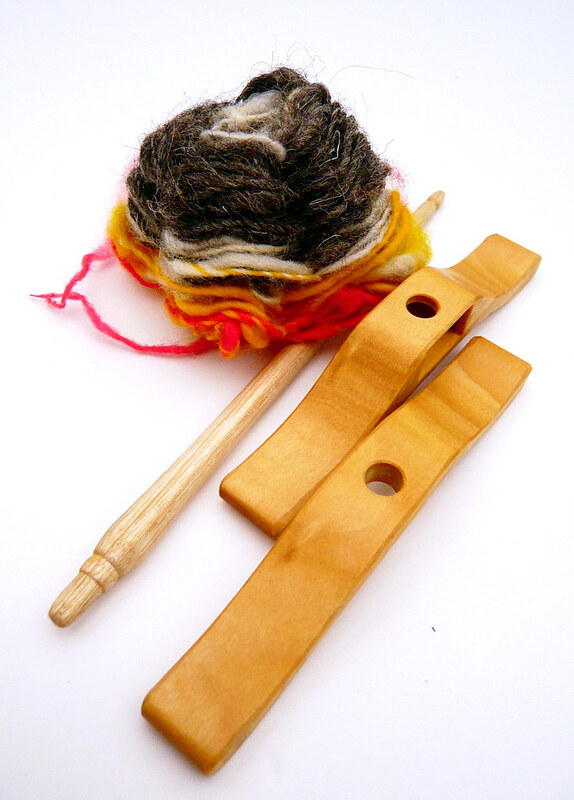 And plying? That's a great big mystery.